Recently another parcel from China arrived. 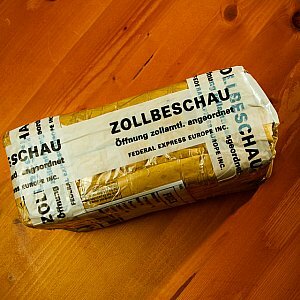 Just to let you know, this time was the first time a parcel was opened for customs inspection. But not problem, all was well declared and it finally arrived at my doorstep. 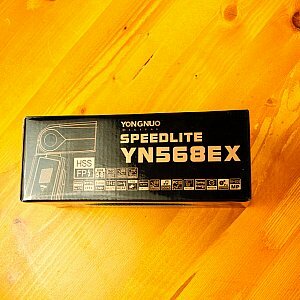 After removing different layers of board I unveiled the package containing the Yongnuo YN-568EX speedlite. It's the usual black and gold Yongnuo product wrap containing all the information you need to know for making the decision to buy their products. The box contains just a few things. 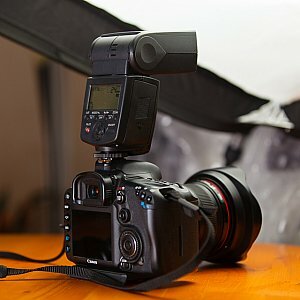 In addition to the YN-568EX speedlite you'll get a protection bag, a mini stand and a user manual. The manual is written in Chinese and English language. The mini stand is completely made of plastic. Even the screw thread for mounting the mini stand to a bigger light stand is unfortunately made of plastic. Finally there is an additional flyer which advertises the eight big features of this flash unit. Well, it's a speedlite. 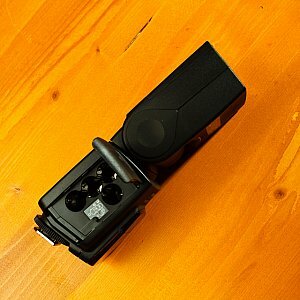 :-) It has a flash head, a foot for camera mounting, some buttons and a display. Too easy? Then let's got into detail. The foot is made of metal and can be mounted to a hot shoe using a thumb wheel. A locking pin is in place so you can safely mount it to your camera. The flash head is slightly smaller than the one of the YN-565EX. It includes a reflection board as well as a wide angle diffusion board. You can tilt the head from -7 to 90 degrees. One surprising feature is that you can spin the head 180 degrees in both directions. That's a very useful feature. I don't know how many times I wanted to do this with my other speedlites but they only support 90 degree in one and 180 degree in the other direction. 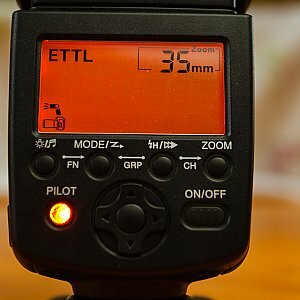 There is no tilt/spin lock as you may know it from Canon speedlites. The battery compartment opens and closes nicely. The ordering of the batteries is kind of uncommon but this is no issue. It's easy to put the batteries in one by one. There is not need to be as careful as you had to be with a YN-460 for example. Every battery is hold in place separately. The front of the flash unit contains the cover for the auto focus assist and status lights. No surprise here. 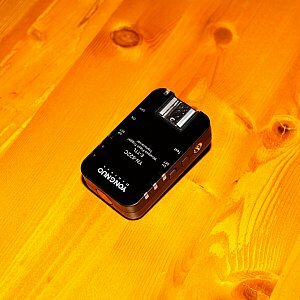 To sync the flash unit with external sources the YN-568EX provides a 2.5 mm jack and does not provide a PC sync port. 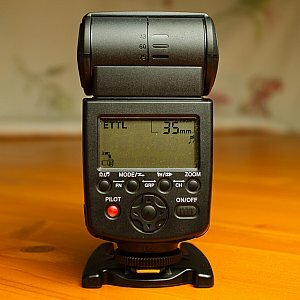 The back of the speedlite provides the main display and a couple of buttons. The display is well readable and provides a red back light. The buttons are made of hard black plastic and feel quite reliable. 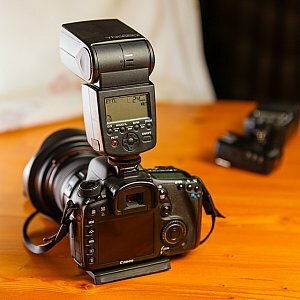 If I compare the YN-568EX to the YN-565EX it turns out that the YN-568EX is not a clone of the Canon 580EXII. It has a unique design. The flash head is build differently, the display is completely new. 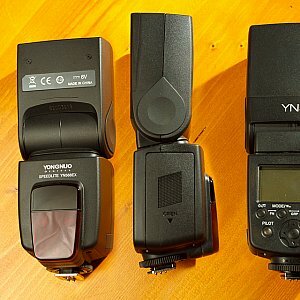 The overall build quality of both Yongnuo speedlites is from my point of view nearly the same. The used plastic feels significant and sturdy. I just like the buttons of the YN-568EX's more. Compared to the Canon 580EXII you have to lower one's sights. 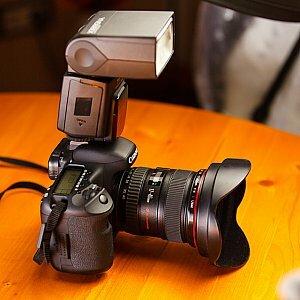 The hot shoe locking is better, there is a thumb wheel instead of buttons and it feels slightly better. 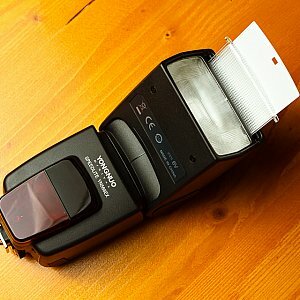 But compared to a Canon 430EXII I would prefer the YN-568EX even with the missing hot shoe locking mechanism. It's simply the bigger gun for lesser money. While talking though the way the flash is build I came up with the idea to put batteries in it and switch it on ;-) Maybe this toy can even fire some flashes. 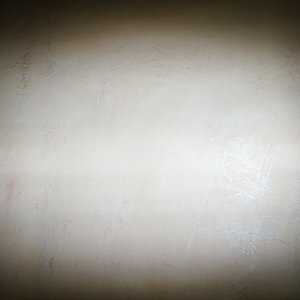 From the list of features this is Yongnuos most capable speedlite product (11/1/2012). 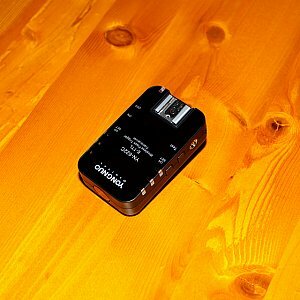 The only feature which is missing compared to the EX-Canon-flagship 580EXII is the ability to act as a wireless master. All the other features are there. 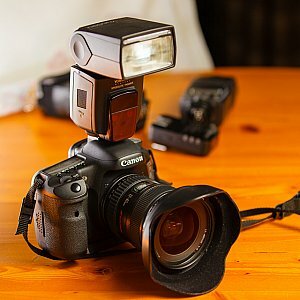 The AF-Assist light is even brighter than the one from the Canon flash unit. The AF assist light is the same as found in the YN-622 or the YN-565EX. 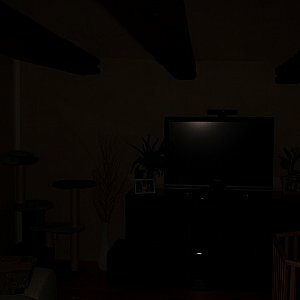 It is very bright and helps the camera to focus in the dark. On closer distances it is slightly off center and shows up above the center focus point. On longer distances it covers the center focus point. 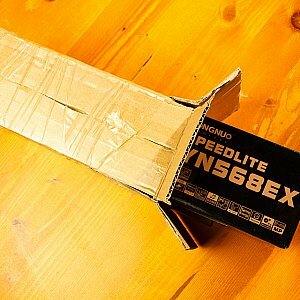 The reflector is zoomable from 24 to 105mm. For close subjects you should tilt the head to -7 degree to expose the frame completely. 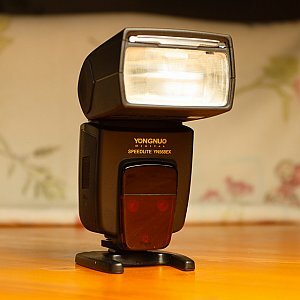 Basically you can trigger the YN-568EX with everything which produces a flash. This is starting with the very dumb S1 mode. In this mode the speedlite fires if another flash was detected. 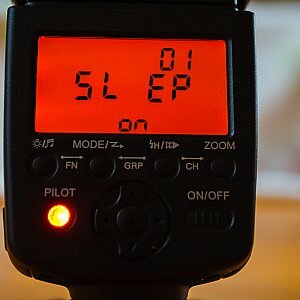 The S2 mode makes it possible to skip preflashes like you have them in TTL mode. 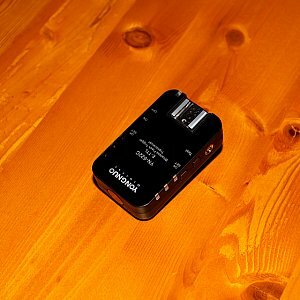 If you need more control over the speedlite settings the YN-568EX can be controlled by Canon and Nikon wireless master devices. 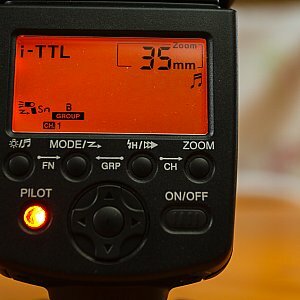 If optical triggering is not enough you can still use wireless TTL triggers like the YN-622. As you see wireless triggering is supported in many flavors. 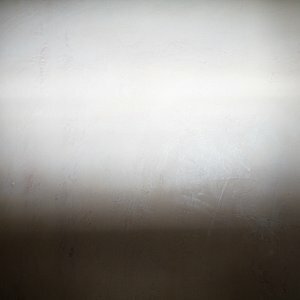 I did two sequences to test HSS and encountered not issues concerning black band in images. The whole frame was exposed all the time. Trying to use HSS for larger areas didn't work that well with very hight shutter speed but the ability is definitely there. 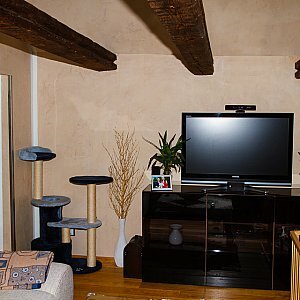 You just have to adjust other parameters like ISO or aperture to get a image which is exposed correctly. Yesterday I had the chance to use the YN-568EX in a non test environment. 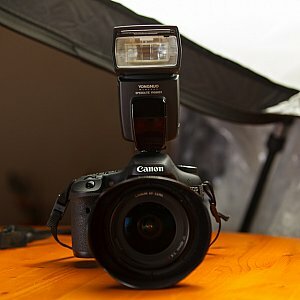 Normally I would mount a Canon 580EXII to the camera in such a situation but this time I decided to use the Yongnuo flash unit. From a performance perspective I didn't encounter any issues. Power was available where needed, not noticeable difference to the Canon. But the way you configure it is different. Basically I'm used to use the flash's zoom as a build-in light modifier and therefore I have to adjust the zoom setting quite often. Kind of annoying was that there is just one button to configure the zoom. You can only increase the reflector's zoom step by step and start from the lowest zoom setting again. The issue here is that you can't change anything while the reflector is moving so you have to wait if you want to go from 80 mm to 70 mm. This is the only thing I didn't like. Sure, I had the flash set to eTTL without any additional modifications to the settings except the zoom. But I'm satisfied with the performance the YN-568EX had delivered. By the way, I also combined the Pixel Opas wireless triggers with the YN-622 by attaching a Pixel Opas transmitter to a YN-622 transmitter. This worked greatly. I used about five manual configured speedlites for coloring the background and two speedlites in TTL mode. 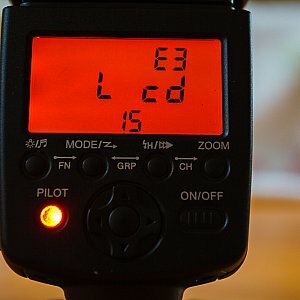 With the YN-622 it is finally possible to attach a speedlite in addition to the trigger to the camera so you can easily mix on camera with off camera flash. 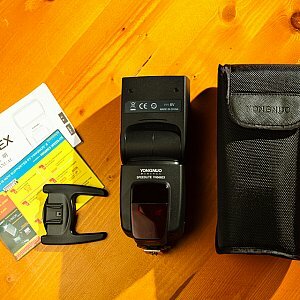 You'll get a speedlite which has most of the features from the competitors in this price region and get some additional power. HSS is great if you need it, it works with the YN-622 wireless triggers. In addition the price tag is low enough to give it a try anyway. The missing Wireless Master feature is something I don't care about. 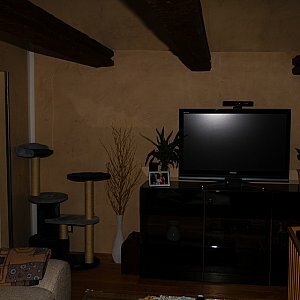 Newer cameras have implement the Master functionality with the integrated flash unit. Of cause you can use TTL-wireless triggers like the YN-622 too. 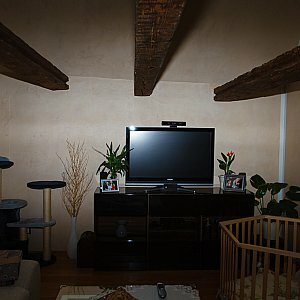 You can also have a look at the YN-565EX but from my perspective I like flagship products which provide the maximum feature set without any compromise. 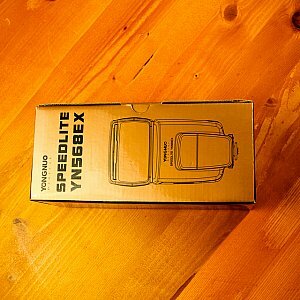 Because of this I recommend to buy the YN-568EX.